Scott Young, DDS Contents Barbara F.
Barbara was unhappy with the spacing of her teeth and the uneven gums that contributed to an appearance of crooked teeth. She also had a destructive bite that was damaging her teeth. It took just two visits for Barbara's smile makeover, and she was happy that sedation dentistry helped make the visits more comfortable. 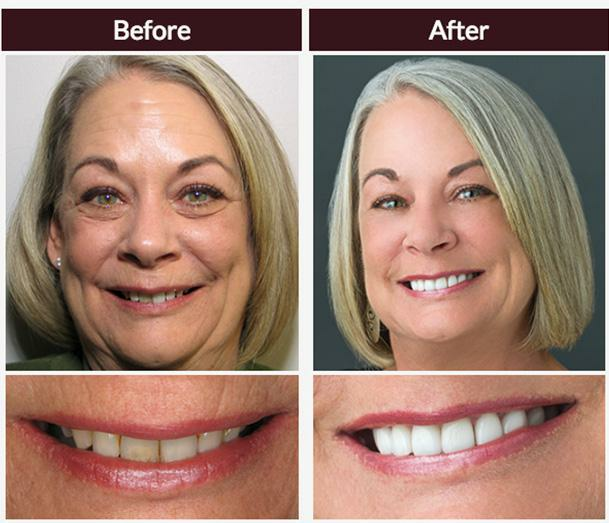 Gum recontouring helped achieve a more even appearance for her teeth, and 10 porcelaiin restorations helped even out the spacing and protect her teeth from her bite.